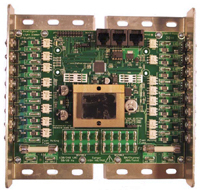 Controller card used in CTB16PC controllers. Can be used as an additional controller (you supply the enclosure and cords) or as a replacement for a damaged card. High Power Heatsinks included.